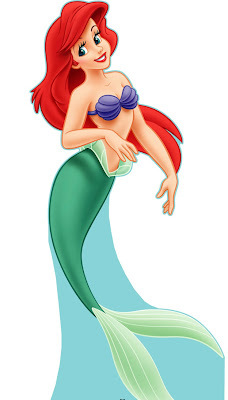 I first met a Mermaid as a kid in the person of Ariel, the make believe pretty little mermaid with the sonorous voice. I got to like the idea of their existence as they were painted as very pretty, excellent voices, extremely kind and sweet creatures. Then, when I grew a bit older, I heard about 'Mamiwater', the idea of Mamiwater' wasn't as sweet as the pretty mermaid but nevertheless, it wasn't so bad till people started talking about 'Queen of the Coast'. Sir Victor Uwaifo purportedly saw a 'Mamiwater' at the Lagos Bar Beach and made a whole song to it. In the African culture, I don't know whether 'Mamiwater' are good creatures or not, so I don't know whether they should be feared or loved and kept as friends and pets. Although I’d always had my doubts about their existence, I started believing they must exist because different cultures of the world seemed to have a uniformed description of how they look. I think Africans believed in the existence of ‘Mamiwater' before their exposure to Western civilization. So, how can everybody have the same concept about something if that thing doesn’t exist. So goodbye Dear Ariel, in as much as you’re a really sweet girl, you never existed after all. It’s like organizing a burial for someone who never was. lol. Mcheeew, are u missing your childhood? nothing wrong with living out your dreams! I think it's a young girls fantasy just like dreaming about being princess's. Life is full of dreams,some come true and some don't but living them out in fantasies, knowing that some of our dreams are just fantasies are wonderful memories.